The understanding that yoga is in fact a complete science is often taken for granted in a world that focuses mainly on the physical postures and how to master them. If we travel into yoga’s past, perhaps we can remember what this ancient technology was originally designed for—the integration of the mind, body, and soul with the Divine. Classical yoga connects back to Raja yoga and Patanjali, the teacher of the eightfold path. The foundations of yoga’s philosophy were written down in Patanjali’s Yoga Sutras in approximately 200 AD. This ancient yet practical text describes the inner workings of the mind and provides a blueprint for controlling its restlessness so as to enjoy lasting peace. In the words of Pierre Teilhard de Chardin, “we are not human beings having a spiritual experience, we are spiritual beings having a human experience.” To the ancients, yoga was a complete system and asana was a small yet useful part of the whole. The entire goal of the system was to connect inward to the timeless, limitless nature of the spirit or the ‘true self’. Those ancient yogis didn’t confuse the tools with the goals. The modern day view of yoga has lost sight of the system. 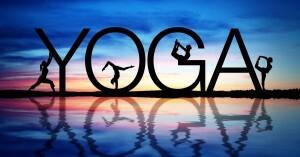 Many people believe that yoga is a set of physical postures only. The whole and part have been reversed and the meaning or goal has been lost. The misunderstanding that yoga and asana are one and the same is the common cultural myth of our times. Looking back may be the way to move forward. In spite of the immense popularity of postural yoga worldwide, there is an opportunity here to uphold yoga’s original integrity. Still on board? Keep reading. Decide for yourself. Read the classics and study the icons and sages that brought yoga into being so you can discover and explore a deeper understanding. Be a beacon of light both on and off the mat. Apply some of yoga’s teachings of non-harming, non-grasping, truthfulness, and generosity in your life. Explore the other limbs. If you’re only practicing asana you are missing out on some amazing stuff. There is a whole world of meditation, breathing exercises, chanting, singing, and being in devotion. Find a teacher and a path that resonates. The Body follows the Mind. You cannot just do asana, you need the mind to be first and foremost flexible in order for the body to follow. Yoga philosophy, talking about it and applying it in your life purifies the mind, makes it flexible to see all sides and the the body naturally will follow.